Sweet smelling oil used widely in Aromatherapy. Price shown is for a 10ml bottle, other sizes and further details available by clicking either the picture or product name. Excellent Nerve Tonic, Clearing For Mind & Respiratory, Strengthening & Uplifting, Stimulating (Sedating In Overdose). Cleansing Congested Skin. Insect Repellent. Balancing, Stimulating Menstrual Cycle. Cleansing Urinary Infection. The use of Basil can be dated back to the 16th Century where it was used to treat headaches, migraines and colds. 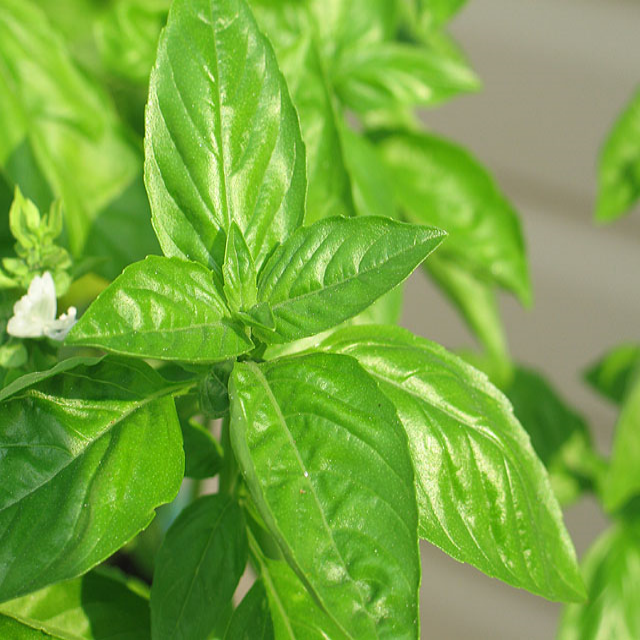 Basil takes its name from the Greek word "King" (basileum) denoting its perceived importance in treating ailments. Antiseptic, Antispasmodic, Emmenagogue, Expectorant And Tonic (Especially For The Nerves But Also For The Stomach). Can Cause Skin Irritations So Use In Low Doses. Avoid In Pregnancy. Basil has been widely used to aid in the treatment of chest infections, digestive problems, headaches and mental fatigue.